Looking for the closest thing to skiing now that the slopes are closed? 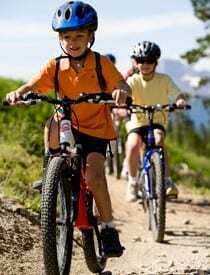 Try mountain biking at Keystone. Here are five reasons why. There are a dozen reasons skiers switch to mountain biking in the summer — the sport has the same endurance requirements, keeps your legs in shape for skiing, the adrenaline rush is very similar and you can stay at your favorite ski area all year long. Keystone ski resort has one of the best mountain bike parks in the country and if you dare to switch to the skier’s favorite summer sport, you’ll see why. Don’t really feel like huffing your bike up to the top of Dercum Mountain at 11,640 ft? Neither do I. The chairlift runs all summer and will take your bike up to the top for you. For $37 for one day, you get unlimited bike haul. Buy your season pass now for the 2012 season and get a discount on bike haul — $27 for one day. Any good skier religiously looks at the powder report in the winter, so why should it change in the summer? The good guys at the Keystone Bike Park update the Trail Report daily to let you know of new openings, new trails, and how it is out there. 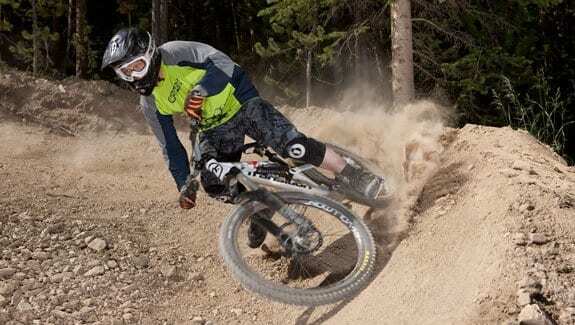 Think biking down Keystone is a little too technical for you? Think again. Keystone has miles and miles of trails ranging from kid-friendly short rides to the Drop Zone with hits that will launch you up to 22 feet. Don’t let your lack of bike dissuade you from trying out the bike park. From “comfort bikes” to full-suspension downhill bikes, Keystone Sports has all the equipment you’ll need including helmets, safety pads and trail maps. The best way to end a ride is enjoying a beer. At the Friday Afternoon Club you can ride into twilight hours and enjoy a beer at the top ofDercumMountain while enjoying some live music. The mountain stays open to 8:00pm most Fridays and Saturdays during the summer, so don’t rush getting out to the trails.